Extra long Legs and Extra Long Inseam Power Stretch Fleece Riding Bib Tights. Stay warm and cozy during winter activity in the outdoors with our thermal fleece tights made with the highest quality four way stretch brushed polyester fleece. It is very rugged and yet very soft. High end Polyester/Lycra fabric for performance oriented people. The stretch fleece tights are made of high performance zirotek which is engineered after the polar bear's fur. The hollow core of filament yarns trap air to improve thermal insulating characteristics. 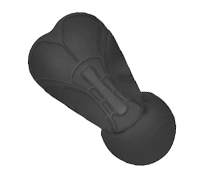 The Black Pearl Chamois Pad...A Most Awesome Cycling Pad. It feels fantastic. We love it!! The Black Pearl Crotch pad will be very comfortable. It is made of long lasting open cell foam for anti-shock and anti-chafe comfort. This shock absorbing cellular urethane is designed to absorb shock for the life of the short. It is breathable in that it lets water vapor and perspiration move away from the body. This pad resists abrasion, is smooth and wrinkle free. 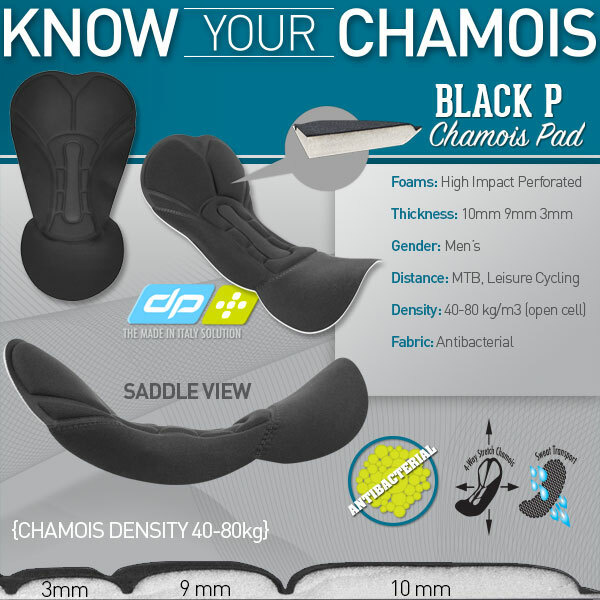 The black P. chamois pad will not change its properties with usage and will not harden or soften with use. The pads cells are "open cell structure" which allow water transportation while maintaining its ability to absorb shock without bottoming out. Fantastic product. Padding smooth and comfortable. Length is perfect for me. (6'6", 215 lbs.) I ordered the XL. Should have said 'ordered L' ! These tights fit nicely but seem to run just a little long in the legs. Not a big problem. The leg zippers do not zip fully closed, not due to faulty construction, just that I have big lower legs and ankles. Comfortable riding although the padding could be a tad bit more generous. I Haven't had the chance to test them in colder weather (only around 55 degrees) yet, but I suspect they will keep me worm. 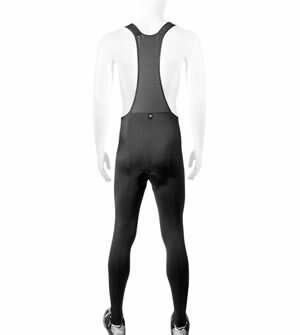 The bib tights are everything aero tech promise. I am 6"4'. with pretty long legs. With much hesitation I purchased the tights in "Large". (I haven't had pants in that size for many years, although I'm slim I always have to go with at lease one X to get the pants long enough). But I can confirm that their size guide is good and correct. The pants fit perfectly. This product has my recommendations. I am a 6'7 240 pound dude and getting cycling cloths that fit makes the whole experience of cycling better! Aero Tech provides clothes that fit. These bibs provide the perfect fit for the tall and large cyclist so you don't look like a stuffed sausage in short pants. I am 6'5" tall and weigh 235lbs (Long & Lean)... I live on the Texas Gulf Coast where temperatures rarely drop below freezing but the high humidity can make 40f feel miserable. These tights are more than adequate for my needs even on the coldest day! I ordered my tights using the sizing guide but they are a bit loose in the thigh, calves and bottom (I am long and lean). The length is AWESOME and I am happy with my purchase but I may buy one size down next time. Very comfortable on half centuries. I'm very pleased with the relative comfort in cool weather. I'm average height, around 5'10"... but I have long legs (inseam) and short torso. I purchased medium/tall and the inseam was a little short. Next time I'll probably get a large, but it's no big deal. The medium/tall size is fine because I wear long wool ski socks underneath the bib tights. I've used these thermal tights on several sub-40Ã¸F rides and they perform admirably. Legs stay warm and the fabric and zippers are much better quality than my older Nashbar thermal cycling tights that were made in China. These bibs wash up good with other cycling apparel and they air-dry quickly. I highly recommend spending the extra few dollars on AeroTech tights vs. Chinese made tights for those who commute during cold weather months and avid cyclists who ride in the winter. This is my first pair of cycling tights and I'm generally happy with them. Firstly I was thrilled to find thighs that were long enough. They are sized accurately as far as I can tell and the leg length is adequate for my 38.5" "cycling inseam " (pubic bone to floor). Workmanship looks top shelf as does the material. I haven't had them long enough to assess the durability. I like these quite a bit but the pad seems to be located about 1.5" too far forward. Maybe it's just my body, I don't know. I'd give them 5 stars if it wasn't for the location of the pad. I've used these in temperatures near freezing and they are warm - without bulk. They are also very comfortable - possibly the most effective padding I've come across. Only thing that would improve them would be reflective bits on calves. Sizing - I am 6'6"" with short legs - so a body of somebody taller. Bought for tall, and these only just cope. The leg said it would be 34". Thought it would be too long for my 32" legs, but they are soit on. A little long, but not a problem. 6' tall, 52" waist, 350#. I usually fit comfortably in 52"W by 30"L pants, and these fit very comfortably. They are warm so you won't want to wear them on summer days (who would anyway? ), and they are a little long on me so I take up the slack by bunching them a little above the ankle. I am very happy overall with them. I usually only use them in cool temperatures. I am 6'3" and 250. Usually I'm an XXL and the cycling gear is just a tad snug. This one is an excellent fit and not skin tight - as I like them. Legs are just right and fall below my ankles. Material is warm, unlike some tights it insulates but does great absorbing sweat. Workmanship is first rate, Zippers in the right place and seams well stitched. Chamois covers well but not too bulky. For the price compared to the name branded stuff, this is first rate and a must for workout or event rides in the cold weather. I love these bibs. Great fit and great warmth. Very comfortable on long rides. Great protection in cold weather. I am 6' 6" tall and was worried that they might not be long enough. I have a 38" inseam in pants. These tights fit perfectly. They stretch too and that's a plus. They are warm down to about 35 degrees. Love em! There are fancier fleece bibs out there. There are certainly more expensive ones. If you ask me, the best bibs are the ones that fit. I'm 6'7" and about 205lbs, and these fit me right. 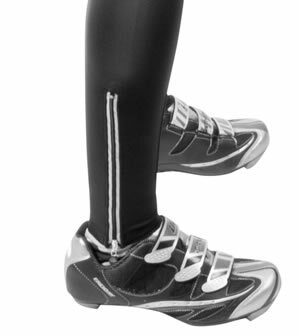 They're a good weight for fall and winter riding in the 30s and 40s F. The zips make them easy to get into. These supplement another pair of Aerotech fleece bibs that have withstood a couple of winters. One zipper failed on those, and was repaired by my dry-cleaner; they're otherwise fine, so I'd say they're plenty durable enough. The chamois causes me no trouble, which is what I want from a chamois. The seams are a little thick, but seem to smooth out after a couple of rides. They're not garish, heavily-logoed or overdesigned. They're just good, affordable fleece bibs for tall guys. Thanks, Aerotech! Best size need To improve seam quality. I've been buying cycling tights for 30 years. This is the first pair which is long enough for my 34" inseam. It's also the first pair that's not too tight at the calves. Recently I've had to buy size large even though my waist is 35". I'm thinking I might try a medium next time.